Reduced Emission: Recycling is one of the most beneficial and environmentally friendly options of all the waste management methods. 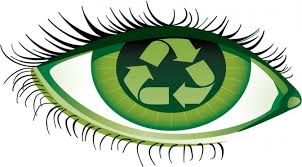 The environmental benefits of replacing incineration or landfill with recycling are numerous. Recycling diverts waste from landfills which has an impact on lower greenhouse gas emissions (GHG). Recycling also has lower environmental impacts when compared to virgin materials production i.e. avoiding oil extraction and refining which has an immediate impact on saving natural resources and energy. Considering the whole plastics recycling value chain, including collection, pre-treatment/sorting, transportation, recycling and the options of energy recovery and landfilling, a significant reduction in GHG emissions is expected in 2020 if the targets set in EU legislation are met. The GHG savings of plastic recycling could therefore result in 6.5% less emissions of the EU plastics industry by 2020 and 11.5% less emissions by 2025. Job Creation: Recycling is to be an important sector of the European economy as direct revenues from recycling constitute considerable and constantly growing contribution. An increase of the recycling rates targets is a prerequisite in order to have an impact not only on the environment but also on the economy and the job market in particular. It was estimated that by enforcing higher recycling rates across the Member States of European Union 50,000 new jobs could be created by 2020 in the recycling value chain including the recycling process itself and waste management. This increase would have an effect on down and upstream sectors as well as on the wider economy, resulting in the creation of an additional 75,000 indirect jobs concerning construction of new recycling facilities, manufacturing equipment for recycling, maintenance of recycling facilities and equipment, research and innovation, as well as jobs related to administration and management. Regarding the direct job creation, the most significant increase would occur at sorting and separation of material as well as at collection and recycling. It is worth noting that direct jobs are mainly related to low-skilled workers and thus have an implication on social inclusion and poverty alleviation for a number of people with fewer possibilities of employment. Energy recovery on the other hand is very low job-intensive and does not have an impact on job creation. More with less is possible: creating more jobs and having less waste and in effect less pollution. Plastic packaging recycling begins with design. Not well thought design often leads to leftover residue in emptied packages. Recycling processes are very often hampered by inseparable composites of polymers, use of unnecessary additives or by combining plastics with other materials like: paper, metal, fibres in a way that that does not allow for an easy separation. The criterion of the packaging design is high performance. The new challenge, however, should be to incorporate the recyclability aspect and to make it a top requirement along with product safety, transport safety, shelf life, marketing & branding. It is important to balance these various objectives of a plastic package. RecyClass' aim is to improve the design of packaging so that it is easily recyclable into a quality secondary raw material to then be used in a new plastic product. Much of plastic packaging is not fit for this purpose and hence destined for energy recovery only - the last but one option in the waste hierarchy pyramid. The tool provides advice and recommendations on how to improve design of packaging in case the packaging scores rather poorly in the assessment. In the last step of the evaluation, the package can be certified by an expert to use the RecyClass branding. By improving packaging design, RecyClass will help divert substantial quantities of plastics away from landfill & incineration and help reach the new higher recycling targets while saving the natural resources.